It's no secret why the Warp is marked down so steeply. Its successor, the ZTE Warp Sequent, is launching Sept 17. But $99.99 is a very good price for a large (4.3 in 800 x 480 px) screen Android phone. 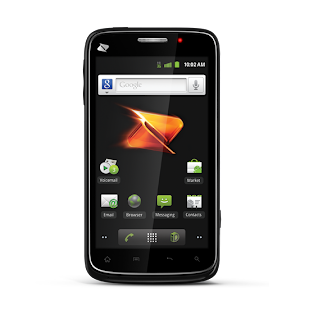 The Warp also has a fast 1 GHz processor and a 5 MP camera. Here's a hands on video of the Warp in action. Get an additional $50 rebate with the purchase of two LTE phones. NET10 (online only) Free 3 Day Ground shipping on all orders $19.99 and above. Not all phones are available in all areas. Free LG 300G bar, Motorola EM326g slider or Samsung T201G flip phone with purchase of a $25 refill card. Use coupon code PTGIMME10 to get 10% off any phone. Virgin Mobile LG Optimus Elite Android phone $99.99 (reg $149.99) plus free $35 Airtime with in-store activation. Free LG 620G slider or LG 220C flip or Motorola W418G flip phone with purchase of $60 International Unlimited refill. The ATT Fusion refurb is 64.99 and the ATT Avail refurb is $74.99. I missed that price cut. Thanks for pointing it out. I've updated the post with the new lower prices. Yeswap, I'm hearing rumors about an exclusive new phone coming from amazon. Any news on that? Are they going to have their own plan too? I saw some of those rumors too. Most of them predicted the Amazon phone would be announced at today's Amazon press event. It wasn't. I don't have any insider information about an Amazon phone. It could happen, or not. Amazon announced a $50/year AT&T based data plan for the Fire HD tablet today so if they do do a phone they may also offer a special plan, or not.